We are celebrating the Institution's 200th anniversary, and the work and achievements of the superhero civil engineers of our region, at our Gala Dinner and Merit Awards ceremony in 2018. A fantastic opportunity to network with other unsung heroes who help shape our world too! Come and celebrate with us: be part of ICE 200. 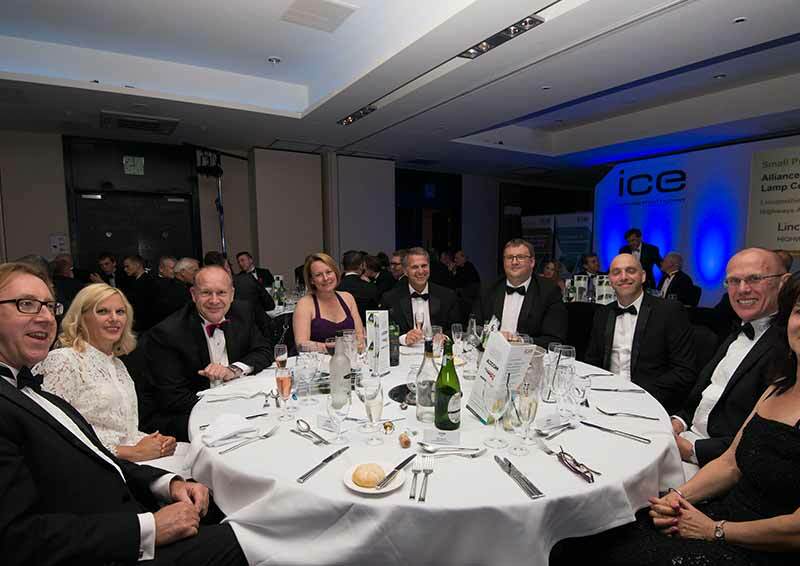 Our prestigious ICE East Midlands Bicentenary Gala Dinner, on Friday 8 June 2018 at The Roundhouse, Derby, is the region's premier networking built environment event of the year and our biggest and best dinner event yet! Join us as we celebrate the winners and all aspects of their achievements, whether related to projects or people. ICE's President, Professor Lord Robert Mair will present the awards and certificates on the evening. An 'earlybird' booking rate applies to bookings made before 2 February 2018. Our standard rate applies to bookings made after 2 February 2018. Join us and take part in celebrating East Midlands' civil engineering excellence and our 200th anniversary. *-10% for EMMA award entrance and only applies to the first table booked. All cancellations must be made in writing to ICE East Midlands. Cancellations made up to six weeks or more before the first day of the event will be charged at 25% of the full price + VAT. Cancellations made up to six weeks or less before the first day of the event will be charged 50% of the full price +VAT. Cancellations made within two weeks before the first day of the event will be charged 100% of the full price +VAT. Non-attendance will be deemed as cancellation, and 100% of the fee will be charged. Substitutions can be made, in writing to the ICE events team, at any time before the start of the event. Where an event extends into several sessions and/or days, each event pass is personal and cannot be partially exchanged or shared. Where the event can be booked separately but a discount is offered for buying a package, those passes cannot be shared or partially exchanged. It may be necessary for reasons beyond the control of the organisers to alter the content, timing and venue of the programme or the identity of the speakers. In the event that the event has to be cancelled, you will be entitled to a full refund of your delegate fees. The Institution of Civil Engineers will not be responsible for the reimbursement of any airfare, hotel or other costs incurred by potential delegates, presenting authors or attendees unless otherwise stated.